As part of its emergency response, SOS has opened five child care spaces to provide care and protection for refugee children. In a region with an estimated 3.5 million people, 91 out of every 1,000 children die before they reach five years of age. "Mayday" is a mariner's call for emergency support. When the Mayday call goes out, those who can, respond immediately. 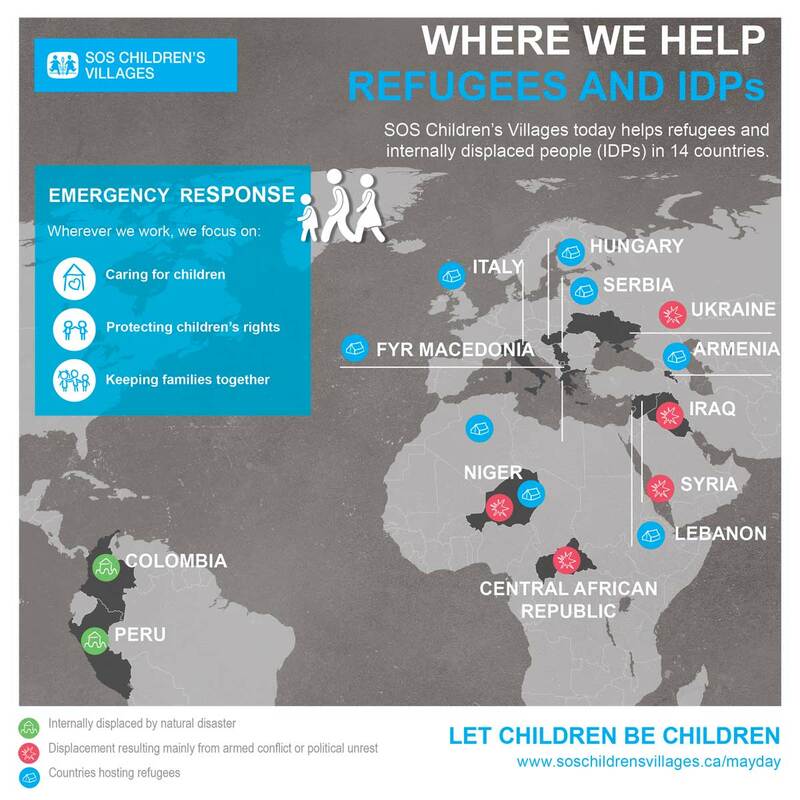 The SOS Children's Villages mission during an emergency is to ensure that children are protected from abuse, neglect, exploitation and are generally kept safe. Our emergency response teams have so far helped children at risk in more than 120 emergency situations around the world.